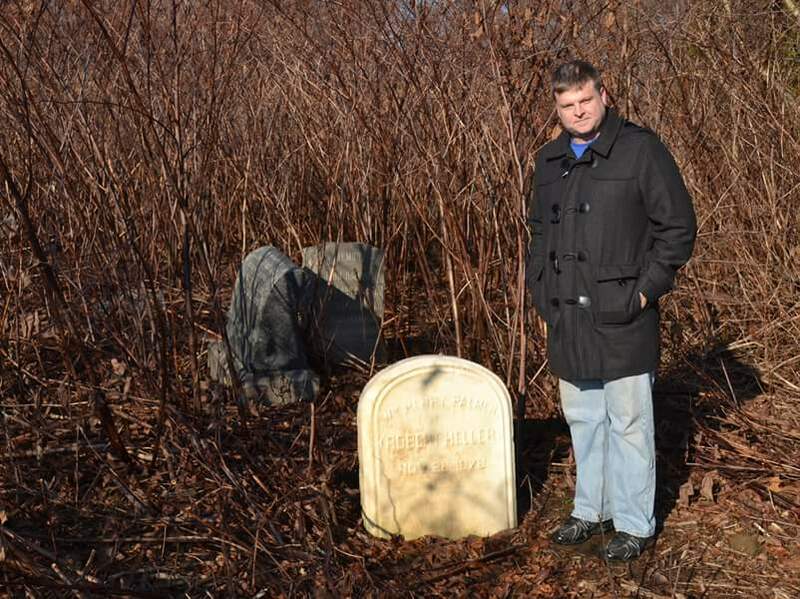 I just received a note from Tony Selletti about a young man, Ken Biddle, from Philadelaphia who, along with his wife, have begun some additional clean-up of Robert Heller's grave. This has been a long project. 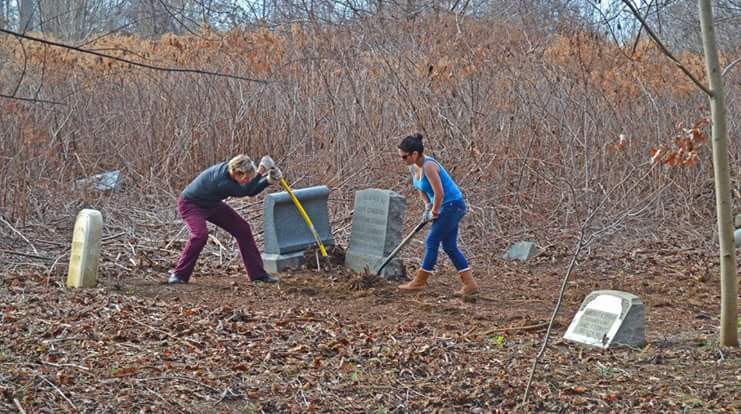 I first started a push a few years back to help clean-up the grave. Thankfully, the Friends of Mt. Moriah who have been periodically cleaning up this abandoned graveyard, eventually found their way to Heller's grave and uncovered it. Let's take a look back at some of these images from Heller's site. 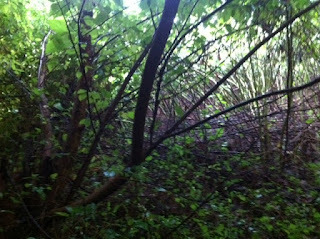 This first image was one was what we were up against. 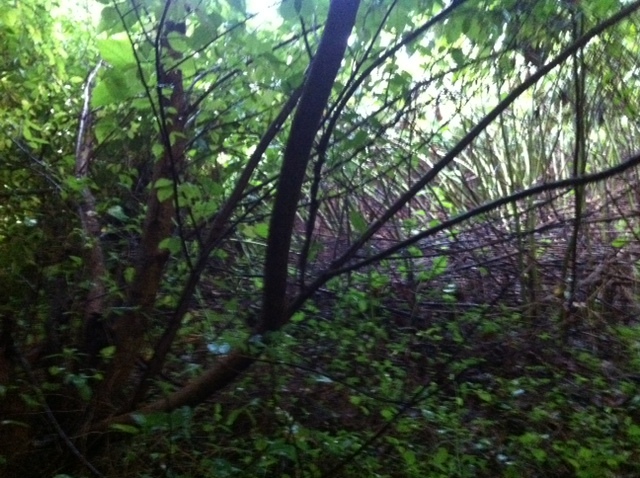 Underneath this brush and mix of twisted vines was Heller's grave. It sure appears to be a daunting task from the looks of it. Next we have the first image of the grave in the 21st Century. I was told it was laying down flat on the ground when they discovered it. This image comes from Ed Snyder. 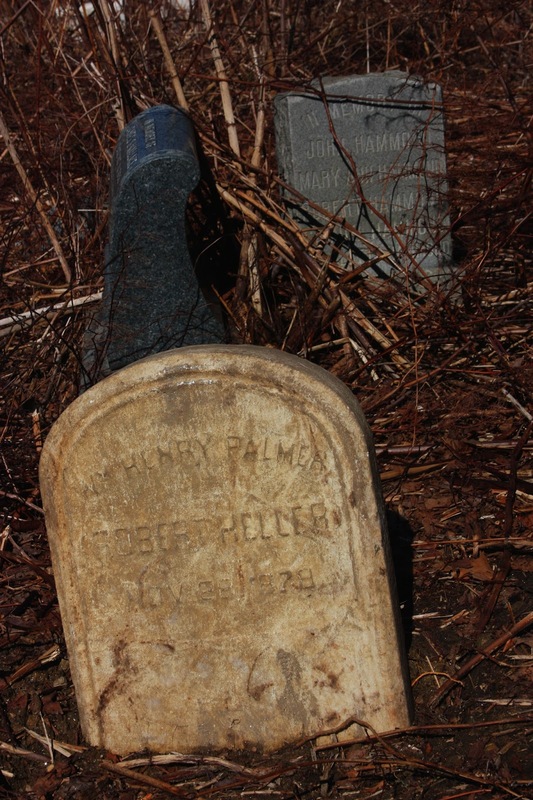 Since the initial rediscovery of the grave, someone cleaned up the gravestone itself. Then we come to the photos I received from Tony Selletti taken by Ken Biddle. And finally, Ken standing next to Heller's grave. I'm guessing this last shot was taken before they started their work on the site as the photo above shows the area more open. 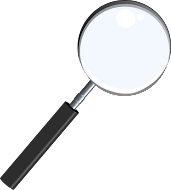 In 1878 Robert Heller died unexpectedly in Philadelphia. He was buried a few days later in Machpelah Cemetary in Philadelphia. But a few years after he was buried, all the graves in that graveyard were dug up and relocated to other locations. 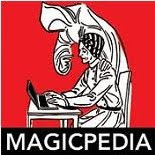 Thus, the search was on to find the grave of one of the great 19th Century magicians. 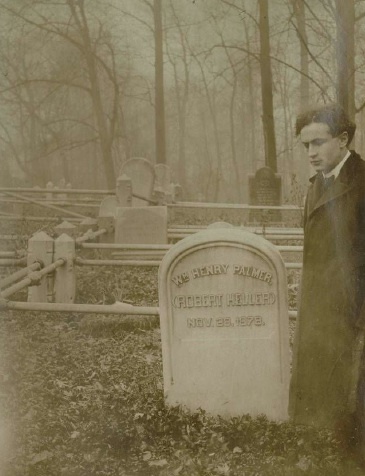 Houdini located the grave in 1910 and the photo at the top of the page is Houdini standing near the grave. 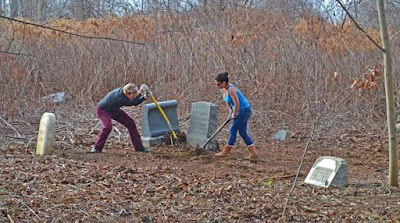 Thankfully through the hard work of volunteers like the Friends of Mount Moriah and others, the grave of Heller and the entire cemetery is getting a gradual make-over. If you would like to contribute to the cause or be part of a future clean-up, you can click the Friends of Mount Moriah link and you can find out more information on how to help.